 So we’ve put together a round up of our favourite wow-factor Christmas party themes, and the venues that you should be contacting to book yourself an evening of frivolities and entertainment that the office will be talking about long after the tinsel comes down. Step inside the Royal Berkshire Conference Centre and enter an Enchanted Christmas, presided over by an Ice King professional MC and Ice Elf entertainers.  Begin with a drinks reception and a three-course dinner, accompanied by Christmas crackers, novelties and half a bottle of wine per person. Round your meal off with tea or coffee and a mince pie, then party the night away on the sparkling dance floor. If you are too full to boogie, just sit back and admire the Snow Queen aerial acrobat or take souvenir pictures with the Enchanted Christmas props. For an evening of festive glitz and glamour, cast off your salopettes and bobble hat and head to Oakley Hall’s Après Ski themed Christmas party nights. Dine under a canopy of fairy lights, enjoy a game of blackjack or roulette, then dance until late with the state-of-the-art DJ and intelligent lighting. Party nights include four courses and continue until 1am (£42 per person) except on Sunday, when they include three courses and end at midnight (£30 per person). Special party-night bed and breakfast rates are available, but availability is limited so book early to avoid disappointment. Art Deco theming abounds when you step into the twenties at your Gatsby or prohibition-themed Christmas or New Year’s Eve party. Think moonshine, flapper girls and the dulcet tones of Louis Armstrong, Ella Fitzgerald and Duke Ellington. When it comes to the venue, Cadbury House Hotel’s roaring twenties New Year’s Eve ball is set to transport guests to a bygone time like no other. Slip on your dancing shoes and prepare for an evening that’s guaranteed to be nothing short of spectacular. Follow Alice down the rabbit hole this Christmas for an evening of magic and mystery. The Mad Hatter’s party nights at Trunkwell Mansion are the chance to let your hair down and go a little crazy. The Wonderland-themed marquee and bar set the scene for pre- and post-dinner entertainment, a three-course meal, complimentary fairground dodgems, the Queen of Hearts’ gaming tables, and a DJ and disco. Parties run from the middle of November until Saturday 7th January and cost from £42.95 per person. If you can’t face returning to reality at 12.45am, book the mansion’s recently renovated boudoir-style bedrooms and extend the dream. Slip on your slinkiest, most extravagant party number and head to Rio at the Elcot Park Hotel. Expect a red-carpet arrival, glitzy masks, a resident DJ and a Copacabana party atmosphere on top of a carnival-themed two-course meal and festive novelties. Parties cost from £28 per person, and 73 bedrooms are available for an overnight stay in this elegant 18th-century manor house. So leave your inhibitions behind, soak up the Latin sounds and colours, and samba your way into Christmas. Prepare yourself for an evening of opulence, drama and mystery. If you’re looking to add a touch of class to your Christmas celebration, a Venetian masquerade ball is pretty much the gold standard. If this sounds like the right kind of evening for you and your colleagues, Bristol’s Marriott Royal Hotel are hosting a Black & White Masquerade Ball in their elegant King’s Suite this year. Start your evening with an arrival drink before you feast and dance the night away in utterly elegant style. You really will feel like royalty this Christmas at Stoke Park’s Royal Yuletide Gala. Don your grandest finery and dine in their regal State Function Rooms for just £79 per person. Be treated to three delicious courses, complete with drinks, crackers and Christmas novelties. Afterwards enjoy a flutter at the casino tables or head to the dance floor with your prince or princess. Once you’ve celebrated in style, make use of the hotel’s luxurious bedrooms and have a good night’s rest, before heading downstairs for breakfast. Raise, bet and gamble the night away at the Avon Gorge Hotel at one of their themed Red & Black Party Nights. Think refined glitz and glamour, a three-course Christmas menu and roulette and blackjack tables on which to while away the evening (and your Christmas bonus) with your friends, family and colleagues. On Wednesday 14th December the Crowne Plaza Marlow will lead you on a journey through the greatest movie tunes of all time, from past to present, performed by top-class tribute acts. The evening includes a two-course dinner, with a vegetarian option, plus disco until 2am. Sleep off that Wednesday Night Fever then recover with a full English breakfast thanks to the ‘play and stay’ tribute package. A tried-and-tested classic with plenty of scope for tailoring an event that’s one-of-a-kind. Make your evening truly outstanding with elegant white drapes and wintery backdrops to set the scene, and a frost-sparkled dancefloor on which to boogie into the wee hours. If you’re really looking to push the boat out, how about having your very own snow machine? If lifting heavy machinery sounds like a little too much hassle, there are plenty of venues around Bristol and Bath that’ll bring the magic of winter indoors for you, such as Mercure Bristol Holland House Hotel’s White Christmas party nights, and Hype Events’ Christmas in Lapland.